With World Water Day taking place on 22nd March, water consumption and the scarcity of water is at the forefront of our minds. As part of our year-long celebration of the Great British Bathroom, we’ll show you how to create a water-saving, eco-friendly bathroom. Saving water isn’t only good for your wallet, it’s also great news for the environment and your community. With many of us struggling with household bills, one of the easiest to keep under control is your water bill. For around half the population in England, who have water meters, being more aware of water consumption is important and you can do this in a variety of ways, which we’ve detailed below. Why is it important to save water? Water is all around us, right? After all, we live on a small island, surrounded by water where it always rains, so why should we save water? Whilst this may be a natural assumption to make, did you know London is drier than Sydney and even Istanbul? Water is a scarce resource and pressure on water suppliers gets ever greater with each passing year. According to Thames Water, if we keep on using water at the same rate we do today, by 2050 we’ll require an additional 250 million litres every day! Dry summers, like the scorcher we all experienced in 2018, coupled with wetter winter months, leads to inconsistency in supply. Water companies are doing their bit to ensure water supplies meet demands, however, it is also up to us to play our part and save water wherever possible, so we only use the amount we really need. Over half of the average water use comes in the bathroom, with 31% being used on showers and baths and a further 23% used flushing toilets. So, it makes sense that the bathroom is the best place to start when looking to save water. The average shower uses somewhere between 10 and 11 litres per minute. If the average family cut shower time by a minute, they could save £45 on their water bills, not to mention £52 on energy bills and over 11,500 litres of water per year in total. Why not try putting a time limit on your shower? You can do this by simply setting a timer on your phone OR by fitting a smart shower with time limit functionality. Drips and leaks, if left unchecked, can cost you money and waste massive amounts of water in the long run. A leaky toilet (one with a constantly-running flush), for example, can actually waste a staggering 400 litres of water each and every day. That could cost upwards of £300 a year for metered bill payers. Meanwhile, a dripping tap can waste over 60 litres per day; the equivalent of 39 bathtubs full of water. So, our advice would be to fix or replace any items in your bathroom or home which are leaky or dripping. Handy hint: Find out how to replace a tap. It may sound simple, but it could save plenty of water in the long run. For example, according to Thames Water, a family of 4 could save over 17,500 litres of water every year. That equates to around £36 off their metered water bill. Much like with a smart meter, a water meter will give you a much better indication of the amount of water you are using, along with the amount you are spending. You can find out more about getting a water meter installed by contacting your local water supplier. As you’ll see below, there are many products on the market which actively help you save water. 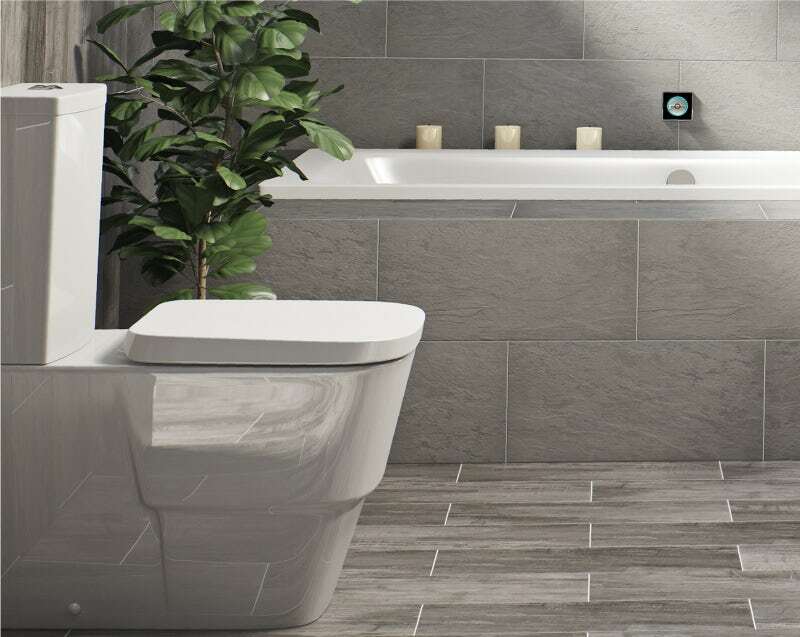 From dual flush toilets to showers and taps with flow limiters, it pays to do your research before buying your bathroom, to ensure it is efficient as possible. Of course, saving water is one of the key concerns for us here at VictoriaPlum.com. That’s why many of our products come with water-saving features and WRAS (Water Regulations Advisory Scheme) approval, to ensure they use water efficiently. Here are just some of the ways our products meet these goals. Most of our toilets come with a dual flush as standard, with a 3/6 litre option being most common. A dual flush allows you to choose a short flush (usually for liquid waste) and a longer flush if required. 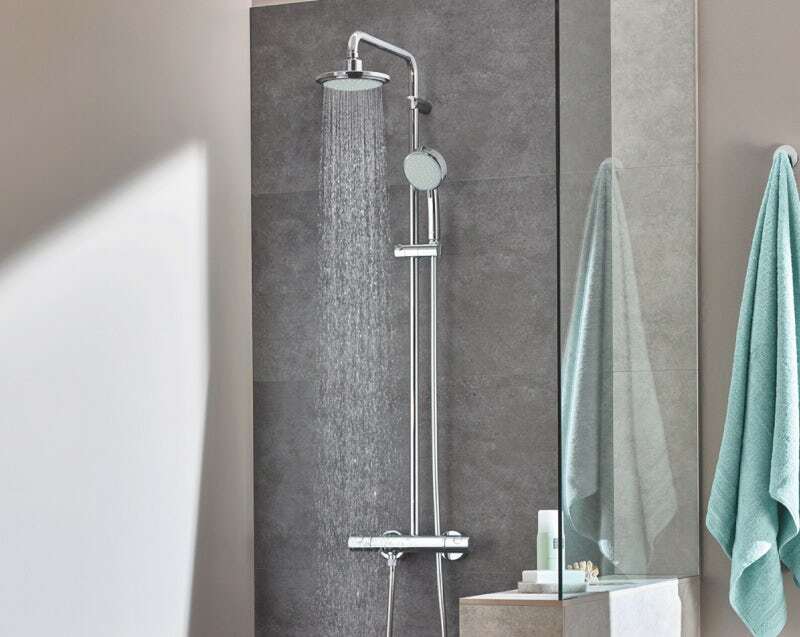 Our Airmix shower head is cleverly designed, allowing air to mix with the water flow. This results in the same, -invigorating shower experience, using up to 30% less water. Handy hint: Find out how to replace a shower head. 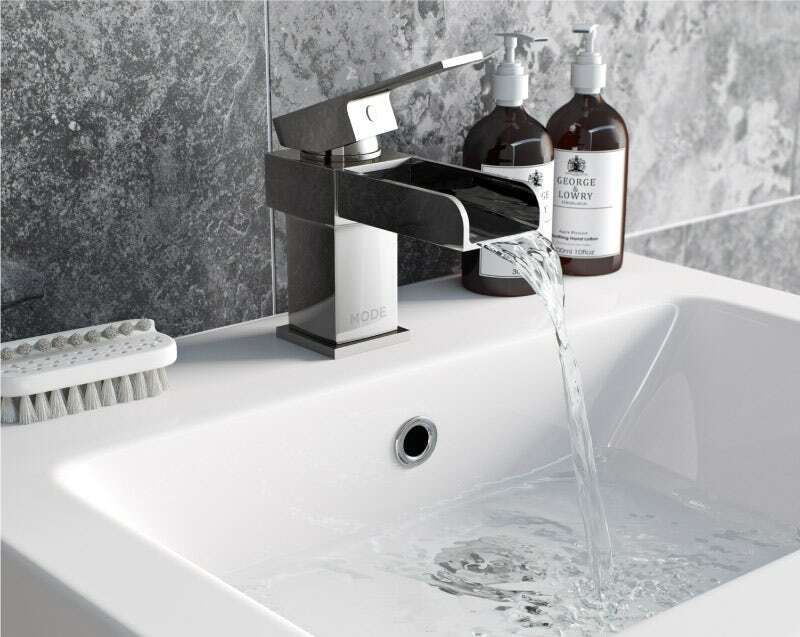 Many of the taps and showers available at VictoriaPlum.com come with built-in flow limiters. 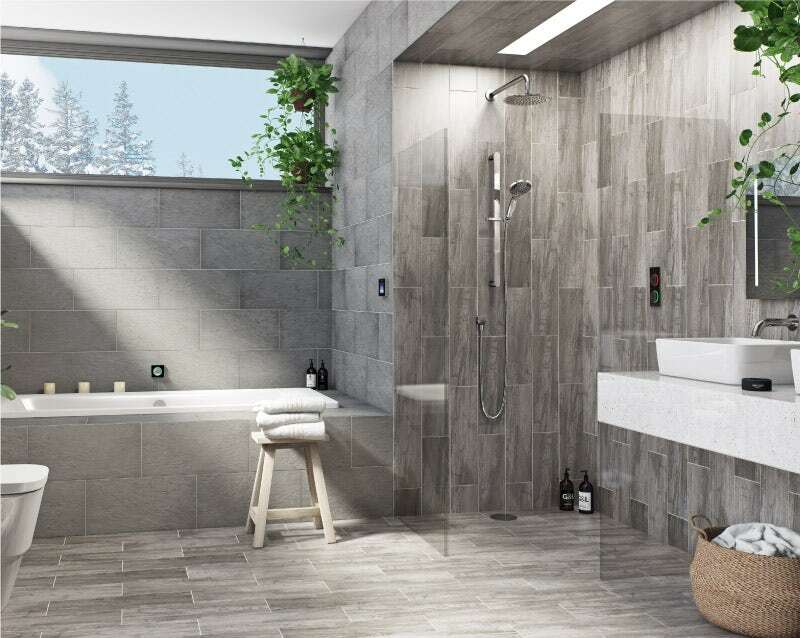 Technology, like Grohe EcoJoy for example, helps to reduce the amount of water you use, either by automatically limiting flow or by offering an “eco” option, which you can select yourself. 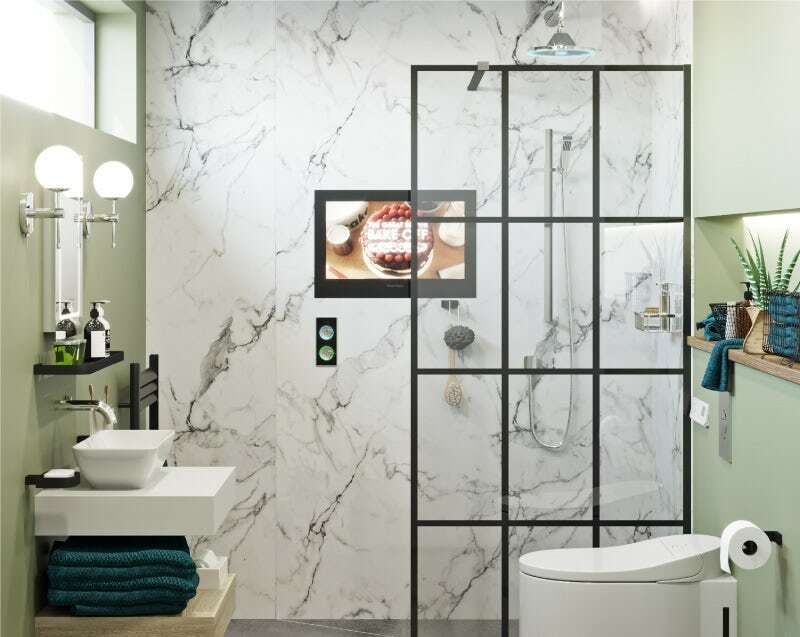 The latest in smart showering systems, like SmarTap, which is available in the UK exclusively at VictoriaPlum.com, allows you to fully customise your showering experience. Helping to use water efficiently, you can set your shower to run for a specified length of time. 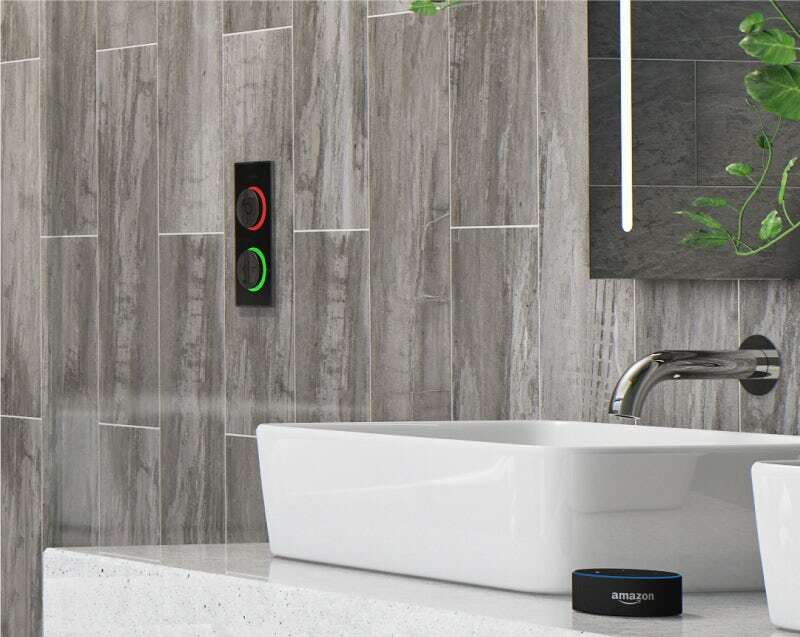 SmarTap can also be used with your bath, allowing you to regulate the temperature automatically, filling your bath to a pre-determined level. 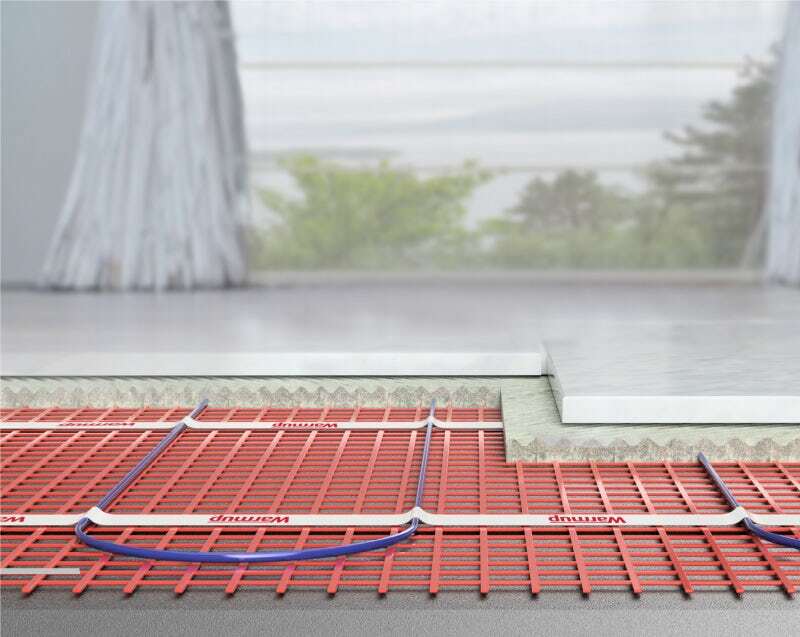 With the latest underfloor heating technology, you can control when and how you use your heating, which is way more efficient than central heating. Cutting-edge digital thermostats even learn the optimum times and temperatures for your heating, so you don’t even have to lift a finger! Discover more about eco bathrooms at VictoriaPlum.com. Even with a smaller bathroom, you can still make a big difference with water-saving products. 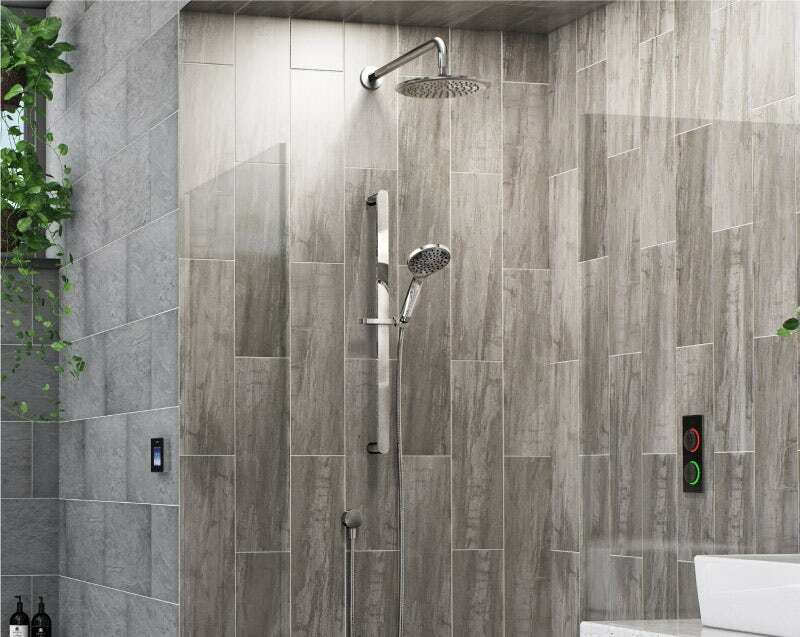 In this bathroom, we've included the SmarTap smart showering system, which allows you to control the amount of water you use. Discover more big ideas for small bathrooms at VictoriaPlum.com. 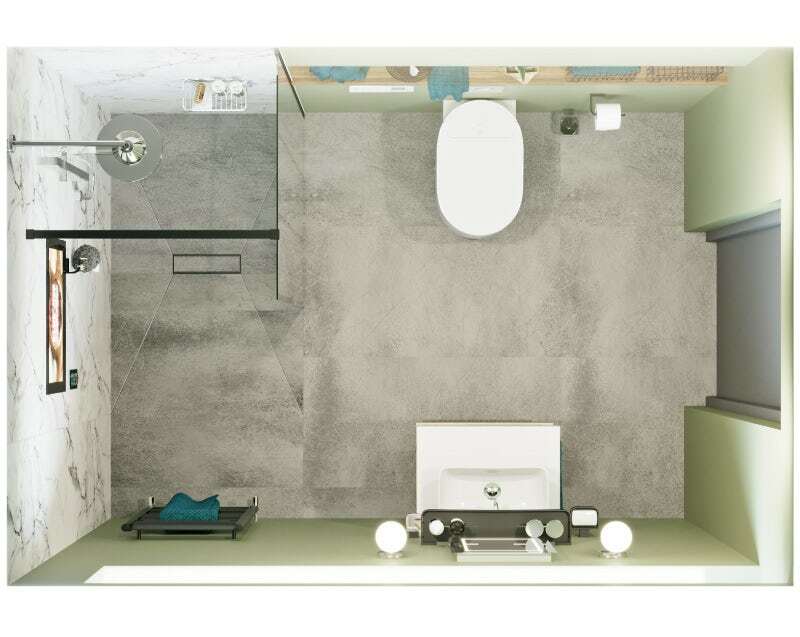 We explore eco bathrooms and demonstrate how you can do your bit for the environment through clever design. With fluctuations in energy prices a major concern, here are our 10 top tips for saving energy in your home. With the prospect of increased droughts, resources becoming increasingly scarce and the world warming up, find out how you can save water in your home with our 10 top tips.